In this lesson, Rachna tells you about the four conditional sentences using ‘IF’. A lot of people get confused while framing such sentences because the verbs take different forms depending on the type of conditional sentence you use. Take the test below to test what you have learned. If the bus doesn’t come on time, I ____________ to school. 2. If you ____________ me the truth, I would have shouted at you. 3. If I were tall and slim, I _________ a model. 4. If you hadn’t come to the party, I _____________bored. 5. If they were rich, they _________ a lot of money to the orphanage. 6. If you had studied seriously, you ___________ your exams. 7. If he _______ on time, he will call you. 8. If they ________ him too much money, he would spend recklessly. 9. If he became famous, he __________ a fan club. 10. If he ______________ fast, we would have missed the beginning of the film. The first type is called the ‘Zero Conditional Sentence’. We use it when we talk about scientific facts orgeneral truths. Example : If you wear a sun block, you don’t get a tan. In the above example, the verbs ‘wear’ and ‘don’t get’ are in the present and the present negative form respectively. Here, you can replace ‘if’ with ‘when’. The second type is called the ‘Second conditional sentence’. We use it when we talk about something in the present or something that is probable to happen in the future. 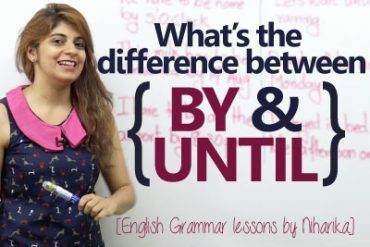 When you begin a sentence with ‘if’, the first verb that follows it should never be in the future tense, you always use the simple present form of the verb. In the latter part of the sentence, you can use ‘will’ if you want to say something about the future. Example : If I will get enough sleep, I will feel better. 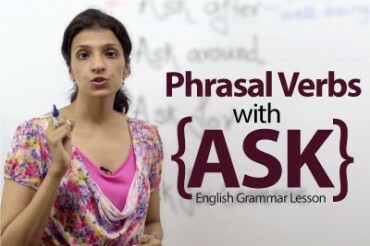 The above example is incorrect, we can’t put the verb ( will get) in the future immediately after ‘if’. When we talk about an unreal, imagined or impossible situation, we use the second conditional sentence. Here, it is essential to put the verbs in the past form, even though we talk about something in the present. Example 01 : If I knew her name, I would tell you. Example 02 : If I met my favorite actor, I would ask for his autograph. Notice, in the above examples, after ‘If’ we use the verb in the past form, in the latter part of the sentence, we use ‘would’ which is the past of ‘will’, followed by a verb in the present form ( as after auxiliaries like can, could, would, should etc., the verb is in the present). The last conditional type is called the ‘Third conditional sentences. When you talk about something that happened or didn’t happen in the past, followed by aconsequence, you use the third conditional sentence. Please remember, the time frame is over and so is the action. Example 01 : If Maria had come early, she would have met her favorite superstar. Example 02 : If he hadn’t completed his work, the boss would have fired him. In the above examples, the verb after ‘if’ is always in the past perfect tense ( had followed by a verb in the past participle form). This is so because we are talking about something in the past. In the latter part of the sentence, we use ‘would’ (ton indicate the past), followed by have and a verb in the past participle. This part of the sentence tells you about the consequence. If they give him too much money, he would ? (why not will) spend recklessly. I have 1 specific question.